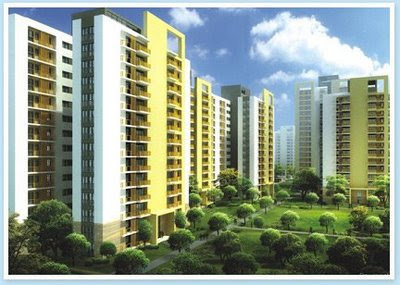 PlaceToLive.in - Blogs: Unitech "North Town" Brahma & Ananda to start at 20 and 19 Lakhs resp. Unitech "North Town" Brahma & Ananda to start at 20 and 19 Lakhs resp. Last time we reported Unitech's plans to offer homes for 5-10 Lakhs. It seems its new projects in in Perambur (near Vyasarpadi Jeeva, on Binny Mills grounds) under the umbrella "North Town", will start at 19 lakhs only (not in the 5-10 range). The North Town - Ananda project consists of 9 towers (T-01 to T-09) of G+13 floors offering apartments of sizes 622 sqft to 1363 sqft and starts at Rs.20 lakhs. While the Brahma project which is also part of the North Town consists of 12 towers (T-10 to T-22, excluding T-13). Brahma will also have of G + 13 floors with apartments in the sizes 630 sqft to 1394 sqft and starts at Rs.19 lakhs.